To book a place on one of our week camps please return a booking form with £50 deposit or full payment (full balance due 3 weeks before camp). 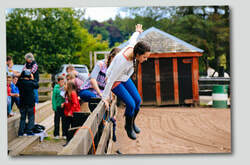 ​Week camps are operated every school holiday in Scotland except for Christmas. Usually six day long camps (Sunday - Saturday). We can take up to 63 kids, in age groupings - 10 to 13 and 14 to 17 - and along with our full time workers, we have up to 20 volunteers at a time. Our camp programme is jammed packed with many opportunities have a go at horse riding, canoeing, BMX biking, target shooting, archery, leather craft, team challenge, gymkhana, a trip out to St. Andrews beach and a big splash in Dundee Olympia pool. Each day has two sessions called 'Time Out', which is a time for some thought on the Christian faith, singing, great get together, and challenging, thought provoking content that is relevant to each audience. 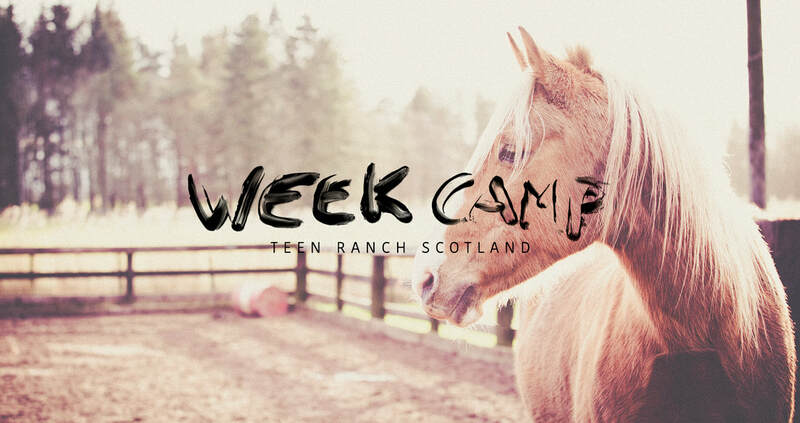 So in a few words, what is a week at Teen Ranch? Fun!/Friendship!/Faith! Basically anything that's of value as things can get easily damaged or lost here at the Ranch! Anything left at the ranch will be kept for two weeks! Please contact the office if you have left something at the Ranch.